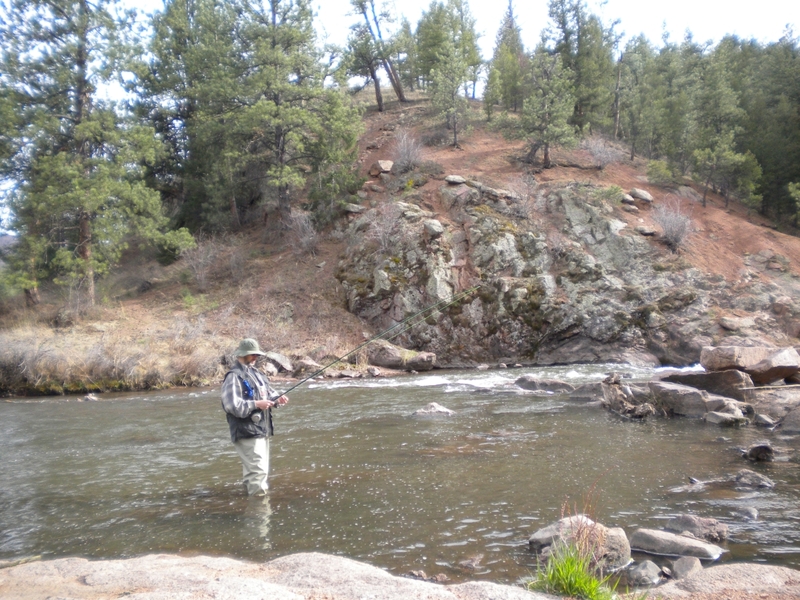 Because you’re looking for more ways to spend money, and because you’re in Colorado, you probably need to give fly fishing a try. And though I’m only a beginner, I’m pretty happy with the fishing available in the Deckers area, only about an hour or so from Colorado Springs. 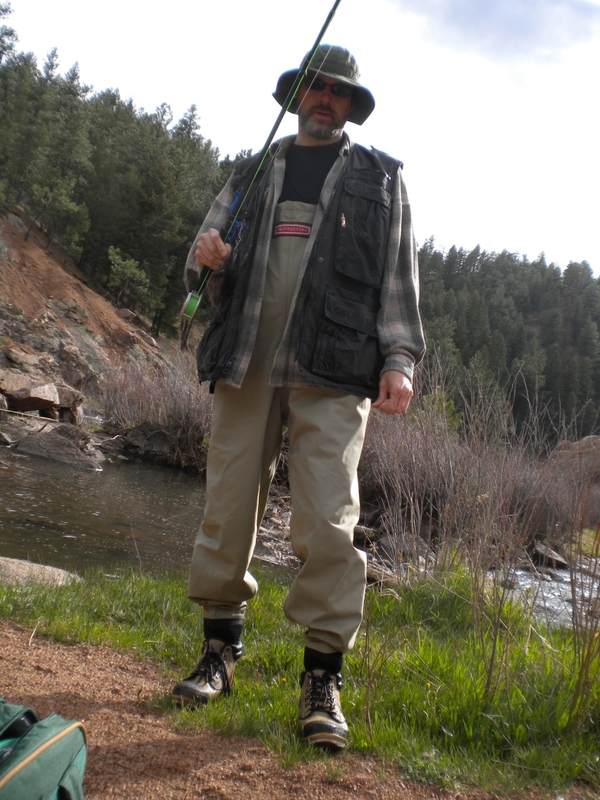 The first thing for a wannabe fly angler to consider is taking a class. I took mine at The Peak Fly Shop and would recommend it highly. Well, can’t I just go out in the water and figure it out? No, you can’t. I promise you. If you’ve never had a dad or grandfather show you the ropes, I just can’t imagine anyone putting it all together. Take the class. It’s worth it just for the knots alone. (Seriously, does there need to be this many kinds of knots?) And the time in the water with trainers is priceless. You know why? 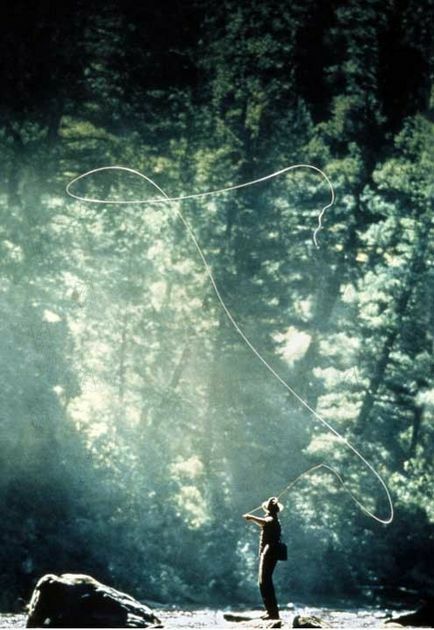 Because the first time you stomp into the water and scare all the fish away, you’ll have visions of yourself as shadowcasting Brad Pitt gracefully flinging miles of line out into the water, but what will really happen is that all your line will end up in a pile at your waist, and the fly will get hooked on your bootlace. Then, while trying to unhook your boot in the rushing water, you will fall down. You are not Brad Pitt. Once you’re ready to hit the water on your own, it’s pretty exciting. And intimidating. At Deckers, my first stop is the Flies & Lies fly shop, where someone who knows what they’re doing will help you sort through the baffling array of flies with names that I don’t think I’ll ever understand, like the “Mercury Flashback Pheasant Tail,” “Churchill’s Sparkle Wing,” “Blue Wing Olive,” or “San Juan Worm.” You’ll also need to buy a fishing license (cash only). My first time out at Deckers, I caught four small trout (although I suspect I caught the same fish a few times, which means I might have only caught two — not sure how fly anglers count under those circumstances). This last time, I didn’t catch any, but I did get a nibble before I was able to set my hook. Probably a 15- or 20-pounder. But alas, he Got Away. You are not Brad Pitt. You will never be able to do this, and it doesn't matter anyway, because this is stupid. 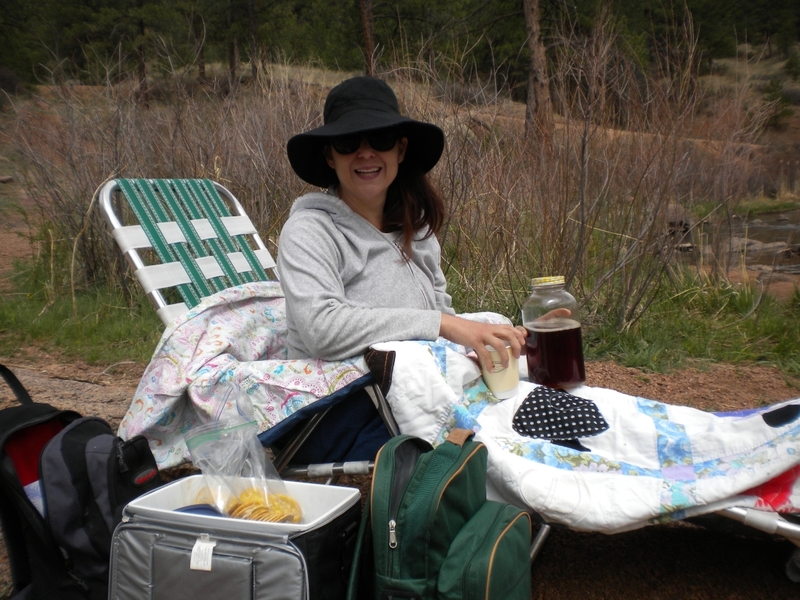 While I fished, Adrienne roughed it creekside with a chaise, some blankets, and a coolerful of snacks. While I'm a lot like Brad Pitt in other ways, we have different fishing techniques. Before even starting to fish, my line is probably tangled on something. You'd really be surprised at how easy it is to tangle your line. So go to Deckers and wade out into the water and pretend like you know what you’re doing. It’s fun.